We would recommend that you visit Pisac before you journey off to see Machu Pichu, as undoubtedly Machu Pichu is the star attraction. However, Pisac is one not to miss and is worth taking a whole day of your time. Ok. You may be a tourist with little time on your side, and have to do a whirlwind tour of a few key places in the sacred valley. There is nothing wrong with that. 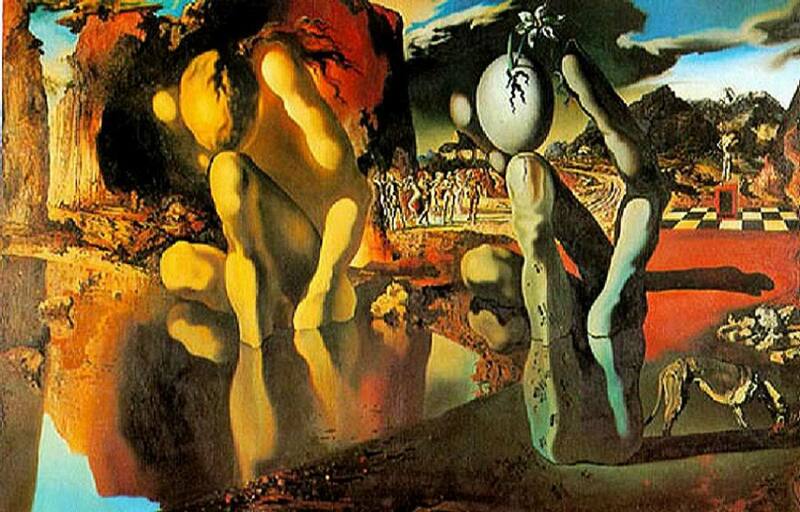 Better to see it all briefly than not at all. But if you have the luxury of time on your side, take some time here, as most tourists lament that they were rushed in and out on a quick photo tour. Everyone has heard about Machupicchu, Cusco & the Incas, but there are so many ruins close to Cusco that tourists never visit. They are missing out on so much history & some of the best scenery around. Machupichu, the Incas, Alpacas are all familiar to whoever ventures into the land of Cusco. But did you know just some 40 mins from the centre of cusco in the sacred valley something as beautiful. 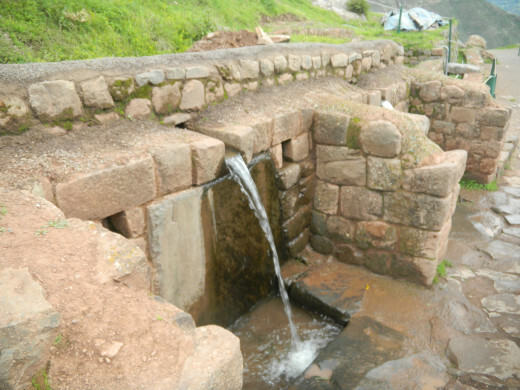 When you arrive in Pisac you will need to take a taxi to the archaeological complex. Some suggest walking up. We dont! You are already at altitude, you want to do a lot of walking when you arrive there, so don't waste your energy on a long walk up. Here's a great route. Take a taxi from the town (Just flag one down) up to the ruins. ( ask for las ruinas). This should cost you no more than 25 nuevo soles. It's nearly a 15 minute drive all uphill, so well worth the money. 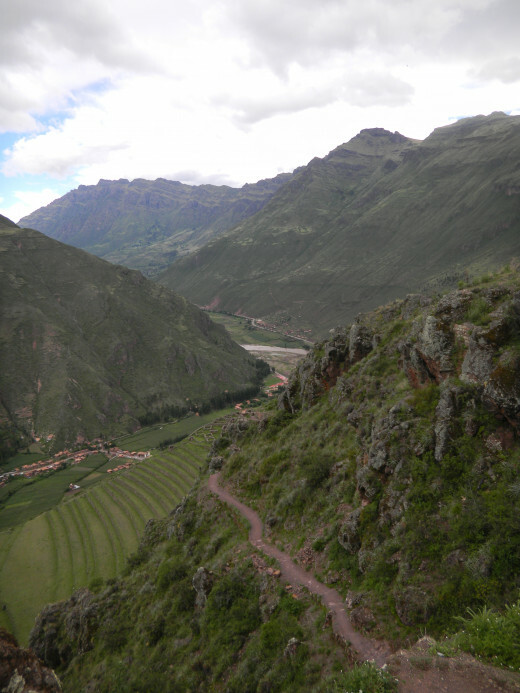 And then from here on with our route you are walking right back to Pisac town. Your taxi driver will have to stop to let you pay or show your boleto touristico at the gate, and then drive you to the actual entrance. Pisac really is quite spectacular, with wide sweeping mountain views that change with the weather. 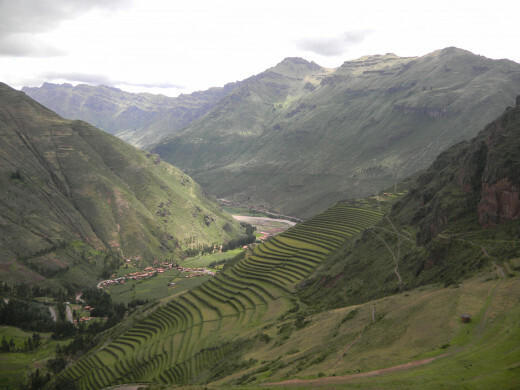 As is common at Inca sites, there are many groups of agricultural terraces and constructions. 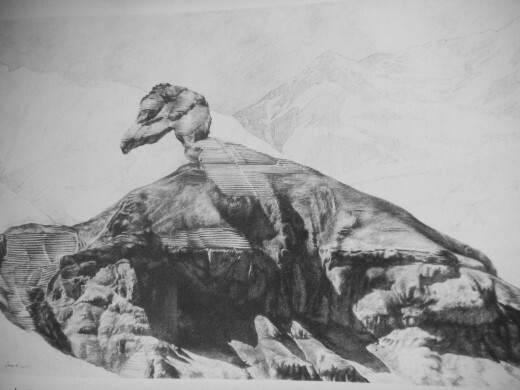 The amazing thing is how they are all integrated into the mountainside and how they were built to form the outline of a gigantic condor just on the point of flight. 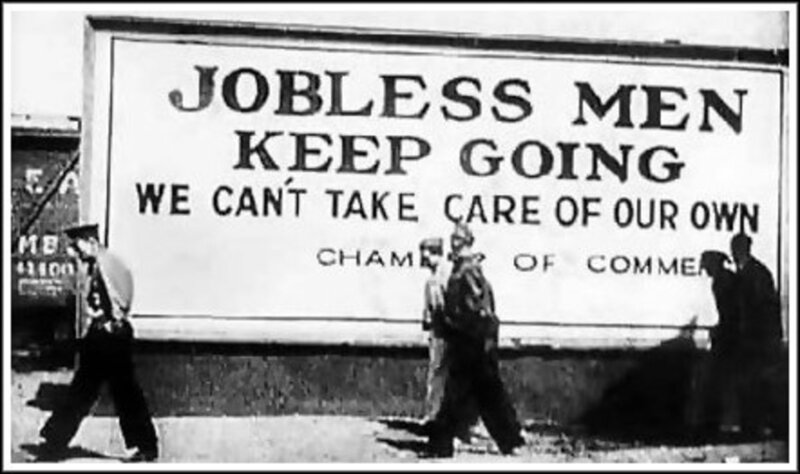 Take a look at the pictures and see if you agree!! In the area immediately above the condors head (Yes you will be right at the tip of the mountain!) 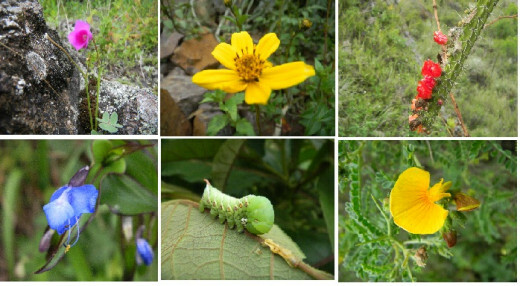 is where you will find Inca ruins that are as fine as those at Machu Pichu. This section is called the Intihuatana and was used to determine the changes of season so as to know when it was best to plant certain crops. 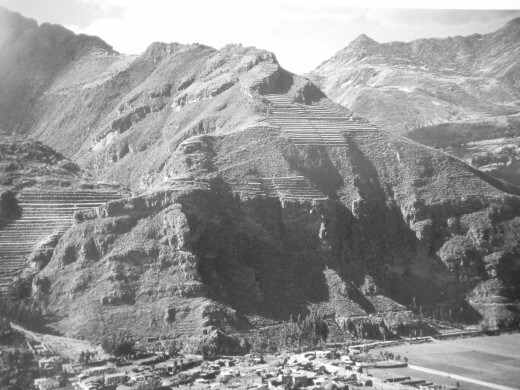 This section of Pisac ruins is seen to prove that it was a administrative centre that controlled this part of the valley and supervised agricultural production on the surrounding hillside terraces and valley floor. In the same section as Intihuatana can be seen the Temple of the Sun with its baths fountains and ceremonial altars. 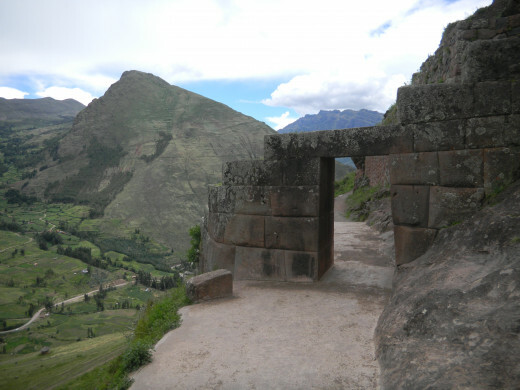 According to Wikipedia the ruins at Pisac are divided into four main groups, and evidence shows it was used for military, religious and agricultural purposes. If you are a traveller who enjoys a guided tour, you can get your own personal guide at the gate or just inside the ruins. Don't worry, most guides will find you. Chat for a couple of minutes before you decide whether or not to spend the next couple of hours with your guide as sometimes due to a heavy accent it can be hard to understand the English spoken. 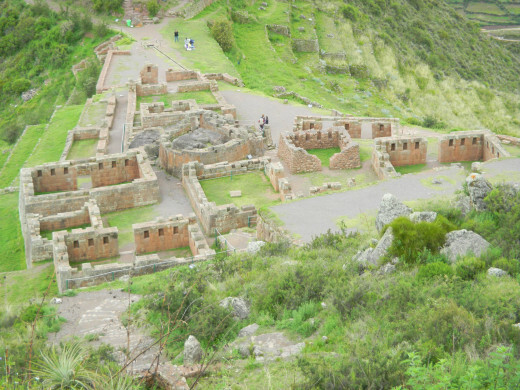 Taking your time to stop and investigate all the ruins and take photos, and also the walk back down to Pisac Market will take you approximately 3-3 1/2 hours. Unless you are a very slow walker, this should be plenty of time. There is an ancient cemetery clearly visible on a nearby mountain side as you begin to walk away from the entrance towards the first group of ruins on the hillside. Look for what appears to be lots of small caves or holes. These are burial tombs, now emptied by grave robbers. 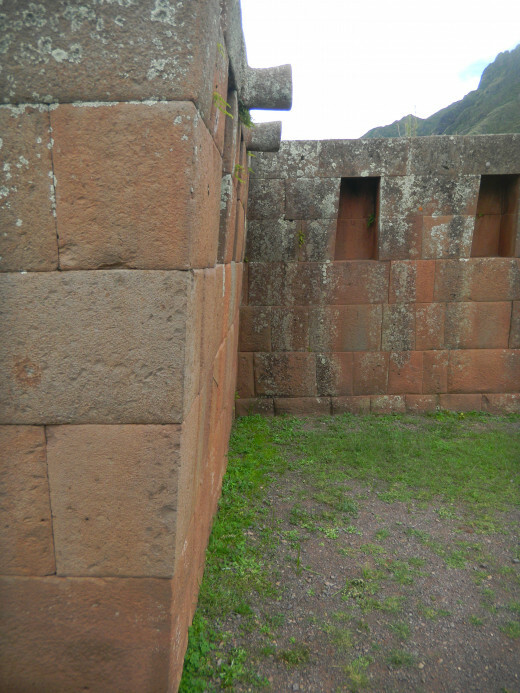 You will pass through an Inca doorway, a beautiful example of Inca masonry work on the hillside, various flights of steep steps (they have wooden hand rails but don't lean too heavily!) 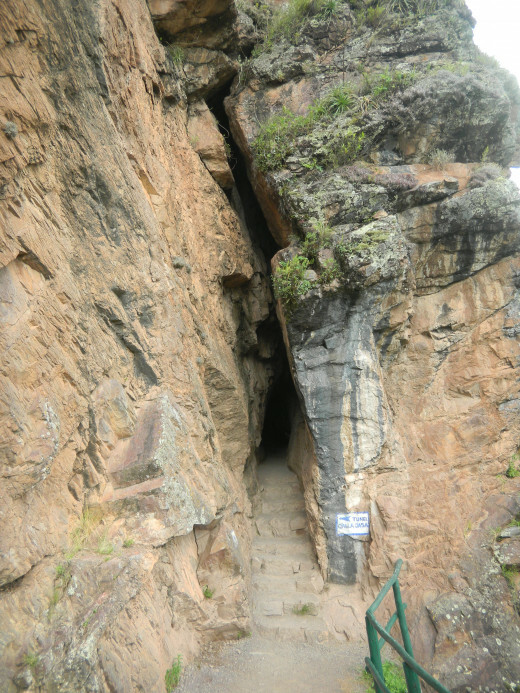 and you will also pass through a small tunnel in the side of the mountain. Then you will start to make your way down the mountain passing the intihuatana section of the ruins. It's very hard to get lost, there are now lots of arrows pointing you in the direction you need to go. 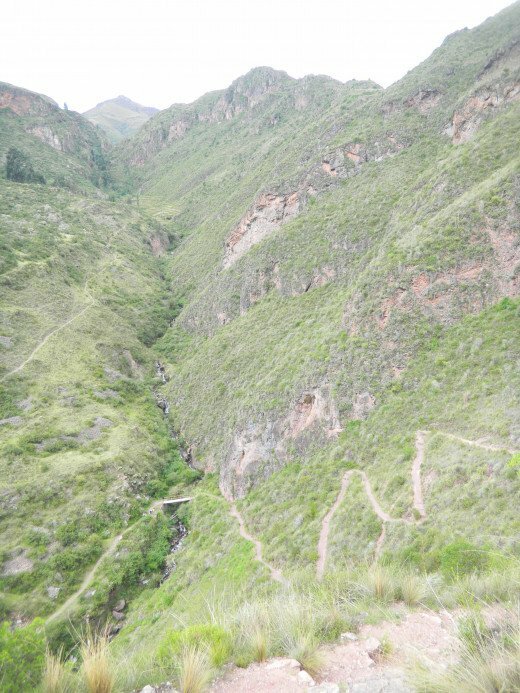 It's not a difficult walk, but if you have problems with vertigo, or very bad knees, you may choose to turn back after the intihuatana and retrace your steps and take a taxi back down to Pisac. Where is Pisac? At the beginning of the sacred valley, north east of Cuzco. How far is Pisac from Cuzco? About 32 kilometres. How long will it take me to get there? Less than 1 hour. How much does it cost? 4 nuevo soles one way. How much time do I need to see all the ruins? 3-3 1/2 hours. How much will a taxi cost to take me up to the ruins? About 25 soles. How much does it cost to go into the ruins? You need a boleto touristico. Which days are market days in Pisac? Tuesdays, Thursdays and Sundays. What is the altitude at the top of the mountain? The same as Cuzco, 3,400msnm. What time do the ruins open and close? 8:30-4:30 although if you are walking down to Pisac, there is no problem still coming down the mountain at 5 or 5:30. Just get down before its dark. There are plenty of good bus tours. You can check those out for yourself on trip advisor as that will give you the most up to date information. However as myself and my husband live here in Cuzco, we are going to tell you how to do it all under your own steam, if you want to be a free spirit and not part of a tour. Walk or take a taxi to Puputi Street/calle, which very conveniently is just around the corner from the Rosas patas market. Much depends on how much comfort you need. The local buses are less comfortable, but perfectly adequate. Some would say that they are a safer way to travel as they go at a much slower speed, but the down side could be that they make constant stops to collect or drop passengers anywhere along the route. You will arrive in Pisac in just under an hour, and will also get a real flavour of local life and people. Will I be able to find the buses and mini vans? Yes. Each form of transport has street callers shouting "Pisac, Pisac, Pisac" you can't miss them. Remember in the mountains that the weather is always changeable. Always expect strong sun and some rain and you won't get caught out. Don't judge the weather by what it looks like when you leave your hotel. Is it at good idea to book a tour? That depends on you. Do you speak Spanish? Would you personally feel safer in a group rather than on your own in the mountains? Being able to speak a bit of the local lingo definitely goes a long way. A non-spanish speaking tourist could be taken advantage of more easily. Some visitors want adventure and to make it up as they go along, and others want the security of a group and not having to make all the plans themselves. Decide beforehand which is for you so that you can enjoy your trip. Pisac is very small and quaint, and very much geared up for tourists. If you enjoy markets, this is one to see. 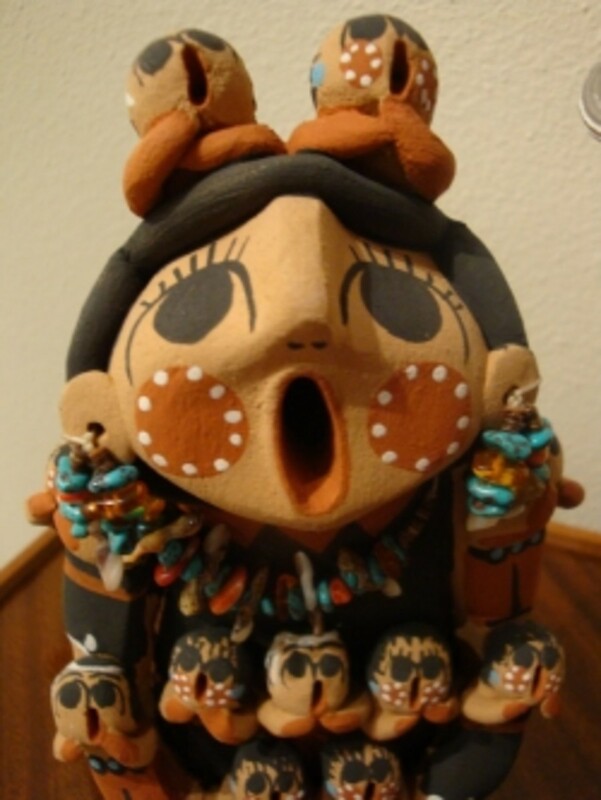 However, you won't find many things that you can't find in Cuzco. Quieter market days are Tuesdays and Thursdays. Things for sale include textiles, silver, artwork etc. If you would like to see a more traditional market, with plenty of local bustle, then Sunday is the day to be here. As well as the usual tourist market, people from all the surrounding mountain villages bring fruit, vegetables, local produce including fresh river trout for sale. Also the local dignitaries attend mass in their traditional finery, making for some great photo opportunities. If you enjoy hustle and bustle Sunday is the day for you. If you want a spectacular walk in the ruins and a quiet coffee afterwards, choose a non-market day. What is a boletto touristico/City ticket? 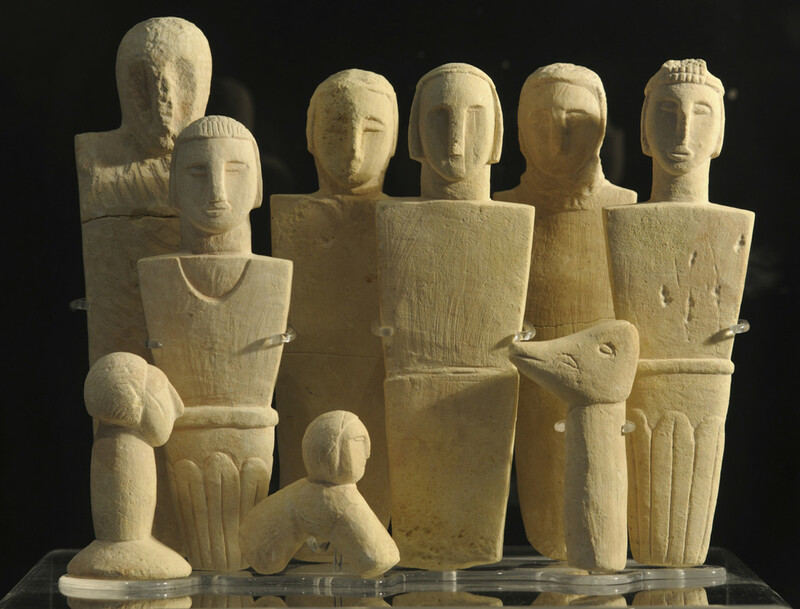 This is a multiple venue ticket which allows you entrance into different archaeological sites and museums. 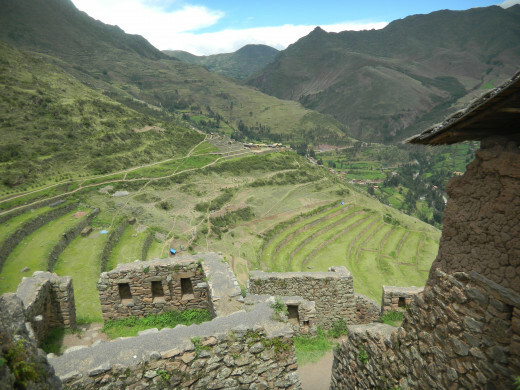 Pisac is part of the boleto touristico/City ticket. If you don't have too much time in Cuzco, and you want to only see a few key places, then the half ticket may be a good option for you. You can visit 3 places, Pisac, Ollantaytambo and Chincheros. But BE WARNED, this ticket only lasts 2 days, and you would need to visit two sites in one day. On the other hand, the city offers a full ticket (see link for details) and you have 10 days to complete all the sites. Follow this link for up to date prices for the Boleto Turistico. There are differerent prices depending on how much time you have in Cusco and the Sacred Valley region or which sites are of greater interest to you. Buy online or go to Avenida Sol. What can I do to avoid altitude sickness? Here are some tricks and tips that work for us and our friends when they come out to visit. # Go straight to bed or at least lay down for a few hours. A day would be ideal but most people don't have that much time to waste. This tip is invaluable and can make the difference to how you feel during your whole trip. The difference is between a great trip or feeling constantly unwell. # Drink Coca or Camomile tea. Coca (not cocoa!) tea is the tried and tested Andean remedy for altitude sickness. Personally I prefer camomile tea as it slows your heart rate down and also sooths your nerves, making it the perfect remedy for the toll that the altitude takes on your body. # Buy a bag of lemon sweets. Sucking on lemon sweets (you can buy big bags in the mini markets here, or buy a handful at any of the little roadside stalls which sell sweets and chocolate) they take the edge off of feeling sick and really do help with the altitude. If you are planning a trip to Cuzco and the sacred valley, we are sure by now that you will have heard about altitude sickness. It's hard to say who will feel unwell when they come to visit and who will be ok. It's not that a person who generally has bad health will be sick, as very healthy people sometimes are quite ill for the first few days. Note: Nausea is a common part of altitude sickness (soroche), but if you begin vomiting it could be an indication of a more severe reaction to the altitude and it would be advisable to contact a doctor. There are many good tour agencies out there, but be aware that many give you more time for lunch and shopping than for seeing the sights. If that's not your scene then arrange a private tour, or follow our tips and take local transport and decide yourself how much time you want to spend where. 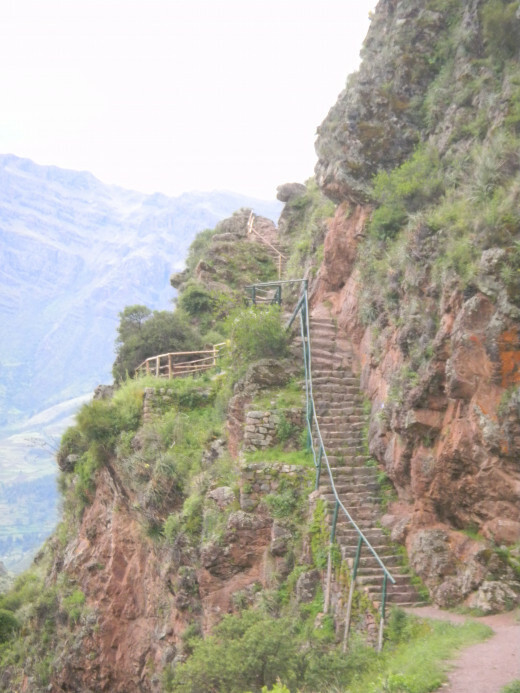 My favourite tip is: taxi to the ruins, walk down to Pisac. Enjoy. This hotel is less than a 5 minute drive from Pisac. A taxi driver should charge you 5 soles. It's not as fancy as its name suggests, but its jewel in the crown is definitely its very clean Olympic size swimming pool. Recently a very large jacuzzi has been added much to my husband's delight. The price to enter the grounds for the day and use the pool is 15 nuevo soles. The pool is rather chilly, even on sunny days, so it's recommended that you give it time to heat up a little with some strong morning sun. The jacuzzi is an excellent addition, will easily take 15-20 people, and makes the chill of the pool much more bearable. Next to the pool is a small barbeque area. These can be hired at a very small cost, but take your own charcoal. The pool and grounds close at 4pm. Try and spot these on your walk round the ruins. Thanks ChitrangadaSharan for anyboby visiting Cusco it is well worth a visit. It is very much on par with machupicchu. This is a wonderful hub with amazing pictures and description of this beautiful destination! Very nicely done and informative article! Thanks for sharing!